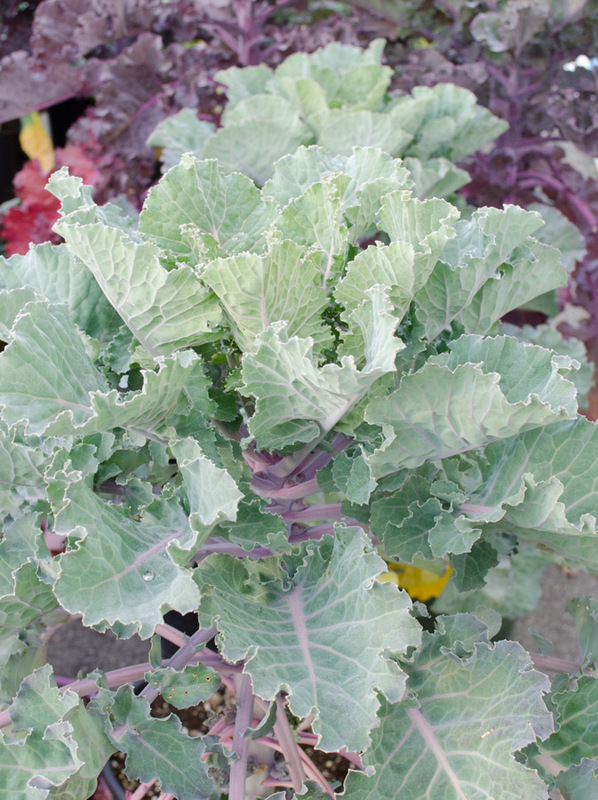 Kalettes is a fresh new vegetable here to jazz up your garden. 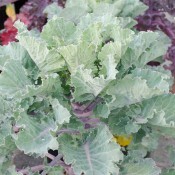 Developed through traditional breeding techniques, Kalettes is a non-gmo hybrid of kale and brussels sprouts. 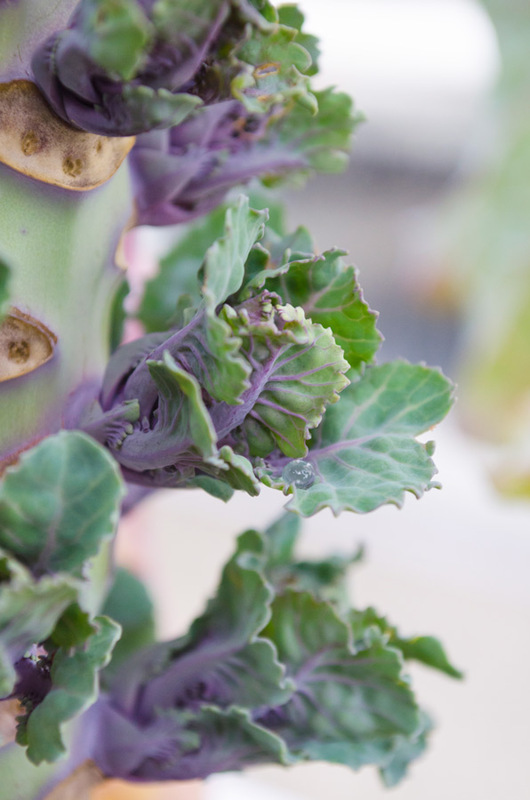 Like brussels sprouts, the plant grows into a tall stalk; but, in place of the compact cabbage-like heads, the plant produces open florets that resemble kale. 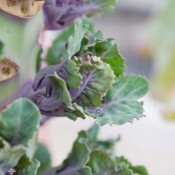 It is an attractive plant with green frilly leaves and streaks of purple. Kalettes have a sweet and mildly nutty flavour. 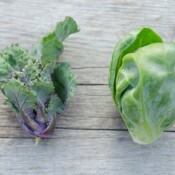 It is an extremely versatile vegetable, lending itself well to roasting, sauteeing, steaming, and even eating raw. 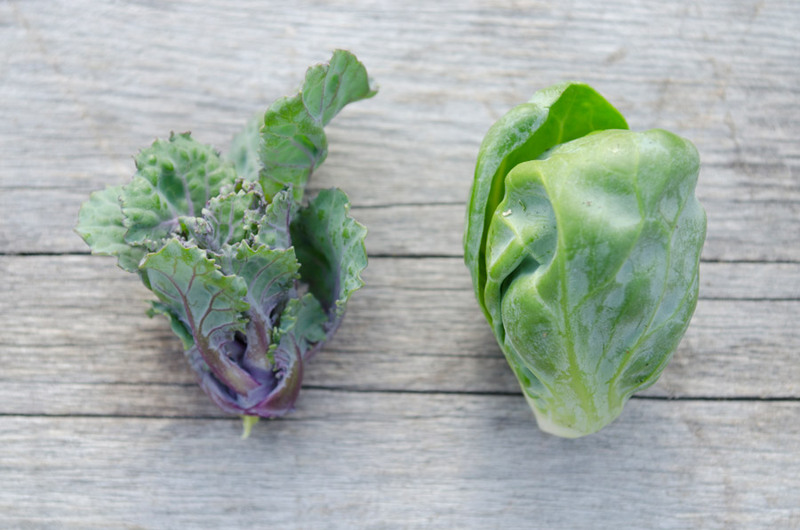 Like other dark and leafy greens, Kalettes are an excellent source of Vitamin C and Vitamin K.